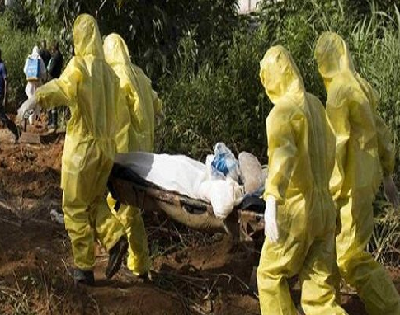 The National Coordinator, Nigeria Centre for Disease Control (NCDC), Chikwe Ihekweazu, on Tuesday said 21 deaths were recorded from the 77 confirmed cases in the current outbreak of Lassa fever in Nigeria. Mr. Ihekweazu disclosed this at the opening ceremony of the National Executive Council meeting of the National Association of Resident Doctors (NARD) in Abuja on Tuesday. He said of the 77 confirmed cases, 10 affected health workers. The national coordinator quoted Sylvanus Okogbeni, Chief Medical Director, Irrua Specialist Hospital, Edo State, as confirming that two of the health workers affected were discharged on Monday. Dr. Ihekweazu said it was high time stakeholders came together and addressed the challenges of hemorrhagic fevers, including Lassa fever. He said government alone might not be able to supply the needed drugs to all the affected persons in the country. Mr. Ihekweazu said the centre had produced guidelines for the prevention and control of hemorrhagic fevers, adding that the NARD members should work with their hospitals’ chief medical directors to address outbreaks. 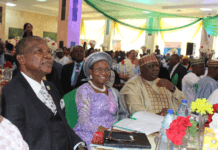 In his remarks, Prof Mike Ogrima, President, Nigeria Medical Association (NMA), urged doctors in the country not to attend to patients if they did not have protective gears. “You have to get some level of immunity or protection before you provide services to such patients,’’ he said. Lassa fever is a viral infection caused by the Lassa fever virus and the disease occurs all year round but more cases are recorded during the dry season. It is spread through direct contact with urine, faeces, saliva or blood of infected rats, eating food or drinking contaminated water. The disease can be prevented through enhance personal hygiene, avoidance of all contact with rats (dead or alive) and keeping the house and surrounding clean always.